Plan your calendar before making the first appointment making call of the day. Before we begin calling, we should have already mapped out the times on our calendar we’ll be asking for appointments. Remember, when calling for appointments, we recommend asking for specific dates and times. We’ll cover the reasons for that in another blog. For now, let’s talk about the concept of knowing when we want the appointment, as that will become an issue whether you ask for a specific date and time up front or not. When beginning a Call Block, we should take a look at our calendar and map out some times when we’ll want to meet with those we’re about to call. Not only does this impact time management, but it will also indirectly (or maybe directly, depending on how we look at it) apply to geography. Now that I live three hours away from where most of my face-to-face appointments occur, I set aside days to be out on the road for appointments. In fact, I even have time predetermined slots set aside on my calendar for appointments. My Initial Appointments generally take an hour. Therefore, I set aside 60-minute time slots on my calendar for appointments. 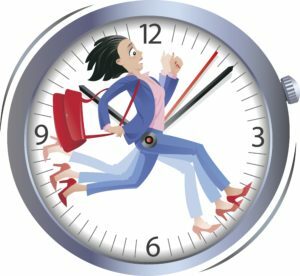 Since I also usually have follow-up meetings on those days, I generally set those first and then I am careful to select times that match the geography of where I’ll be in relation to whom I am calling for appointments. The Atlanta and Charlotte areas are each pretty large. That means that it could take me easily an hour or more to go from one appointment to another if I don’t plan well. If you are driving back and forth across town between appointments because you didn’t plan it well, it makes for an incredibly stressful day. So, before I pick up the phone, I take a look at where I’m going to be the day I want the appointment and pick the time I want to ask for the appointment. That makes me sound much more confident and professional when I’m asking for the appointment. If the target cannot meet at that time, I’ve already got a few back-up times when I’ll be back in the area. That way I won’t feel pressured, or hurried when hunting for a back-up time while I’m on the phone with a target. If you’d like more information on the topic of how to set more appointments, drop us a line or give us a call. Or, if you’re simply interested in why no team of sales professionals has ever failed to at least double the number of Initial Appointments they were setting after going through one of our programs, give us a call or drop us a line. We love talking appointment making! Caponi Performance Group and Contact Science jointly market the telephone prospecting and cold calling solution called Coldcalling101™. It is the only comprehensive solution to solving the biggest barrier to success in most selling organizations—the inability to secure enough Initial Appointments to begin the selling process. We accomplish that through simultaneously addressing both the efficiency and effectiveness of the process. We can be reached at 817 224-9900 or at barry@coldcalling101.com. You can also find answers to many of your challenges in our books: Contrary to Popular Belief, Cold Calling DOES Work! Volume I: Effectiveness, The Art of Appointment Making and  Volume II: Efficiency, the Science of Appointment Making. Previous Previous post: The emperor has no clothes and Social Selling is dead. Next Next post: Three reasons to ask for a specific day and time on an appointment making call.